This last name is a Spanish habitational name that denoted or referred to a person who was from Cisernos, a town/village in the province of Palencia, derived from the Spanish word cisne meaning “swan”, via the Old French and Latin, ultimately from the Greek kyknos. Recall, the Romans ruled in the Spanish peninsula from 98-395 AD, known as Hispania. 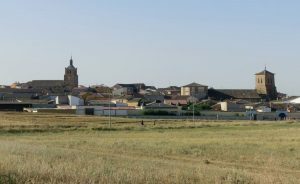 Today, Palencia is an autonomous community of Castile and Leon, located in the north of the central Spanish plateau known as Meseta Central, in the middle of the Carrion river valley. The place may have been so named because of the abundance of swans there in medieval times. 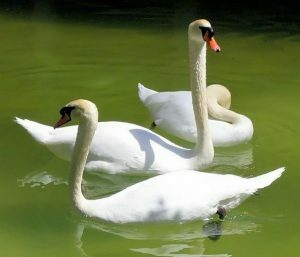 Swans were intentionally bred by humans as a source of food and feathers. According to Medievalists.net, “Swans have been a tempting food since Biblical times, but in Leviticus 11:18, Israel was prohibited from eating swans because they were considered “unclean,” which is interesting considering that the mute swan was the medieval symbol of love, but that didn’t stop medieval people from eating them“. Spelling variants or names with similar etymologies include: Sisneros, Zisneros, Cisnerios (Portugal, Brazil), Ciseneros, Cisnerros, Cisnero, Cisnaros, and Cisnneros. The name first established itself in the Kingdom of Murcia which existed in southeastern Spain on the Mediterranean coast which existed in the early Middle Ages (officially between 1011-1266 AD). According to Wikipedia, Murcia was “founded with the name of Medinat Mursiya in AD 825 by Abd ar-Rahman II, emir of Al-Andalus” after the Moors invaded the Spanish peninsula in 711 AD. It is interesting to note the name is also present in Italy, and was first found in Murano, an island near Venice. One of the earliest documented bearers of this surname was Dona Ana Cisneros, who was born prior to 1575 AD. Another early bearer was Pedro Cisneros who died in 1500 AD in San Nicolas de Bari, Avila, Spain. Another was Diego de Sisneros who was born around 1608 AD and had a son named Bartolome. Bartolome was born in what is today Albuquerque, New Mexico. Francisco Jiminez de Cisneros was born in 1426 AD in Torrelaguna, Castile. The last name Cisneros ranks 850th popularity in the United Status as of the 2000 Census. The name ranks particularly high in the following four states: California, Texas, New Mexico, and Colorado. In all four aforementioned states, the name ranks in the top 500. In Spain, the name ranks 1,099th. In the Philippines, it ranks 5,699th. The surname Cisneros frequency/commonness ranks as follows in the Latin and South America: Mexico (174th), Guatemala (497th), Honduras (602nd), Panama (311th), Colombia (1,193rd), Venezuela (406th), Argentina (408th), Nicaragua (357th), Ecuador (167th), Cuba (265th), Peru (213th), Chile (2,164th), Bolivia (281st), Uruguay (863rd), Dominican Republic (1,607th), Costa Rica (293rd), Paraguay (5,924th) and El Salvador (245th). 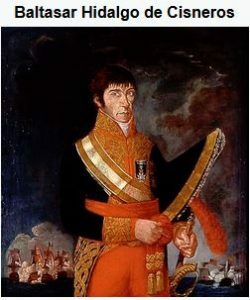 1) Baltasar Hidalgo de Cisneros y de la Torre, Virrey del Río de la Plata was born in Murcia, Espana (Spain) in 1758 and he married Ines Gaztambide y Ponce. 10) Felipe Neri Cisneros was born around 1725, married Maria Jiron, and had a son named Hermenegildo. Romano Cisneros was born in Rito, Colorado around 1804. He married Maria de Carmen Ortega, and was the father of the following children: Ramon, Selidonia, Antonio de Jesus, Juan Cenon, Juana, Juan de Jesus, and Vitervo. His son, Juan Cenon Cisneros, was born in Colorado around 1833. He married Ana Maria Copas and had the following issue: Viviana Copas, Jose Ramone, Jose Concepcion, Maria Josefa, and Jesus Maria. Jesus M. was born in New Mexico in 1860. In 1884, in Huerfano, Colorado, he married Maria Rumalda Martinez, daughter of Jose Antonio Martinez and Maria Viviana Vallejos, and had the following children with her: Jose Salome, Domecinda, Ana Modesta, Juan de Dios, Juan de Jesus, Maria Damiana, Virginia, Regina Victoria, Lucinda, Maria Lucila, Maria Elena, Vaiden de Jesus, Eloiza Celina, Cristobal Celestino, and Victoria Ernestina. 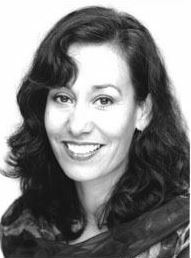 His daughter, Maria Elena (Helen) Cisneros was born in Santa Clara, Colorado in 1903. In 1937, she married Epifanio Virgil and had two daughters with him born in the 1930s and 1940s. She passed away in 2004.